Stitched out nice. a nice size for my project. love it! going to use for tea towels and possibly pillows for this coming Christmas. Starting early! Very festive and neat , I changed the boot color from lt. blue to white and the star to lt. blue it turned out very nice. 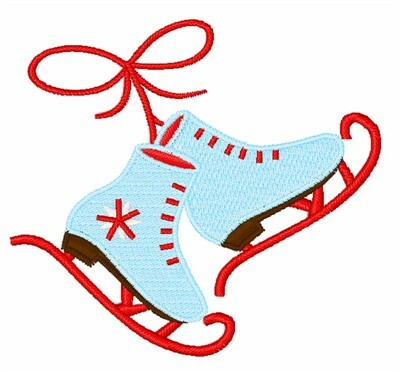 1Z Embroidery is happy to present Ice Skates machine embroidery design which has 8244 stitches and is [91.63 mm x 89.27 mm] large. If you would like to view more embroidery patterns please search on our embroidery designs page.